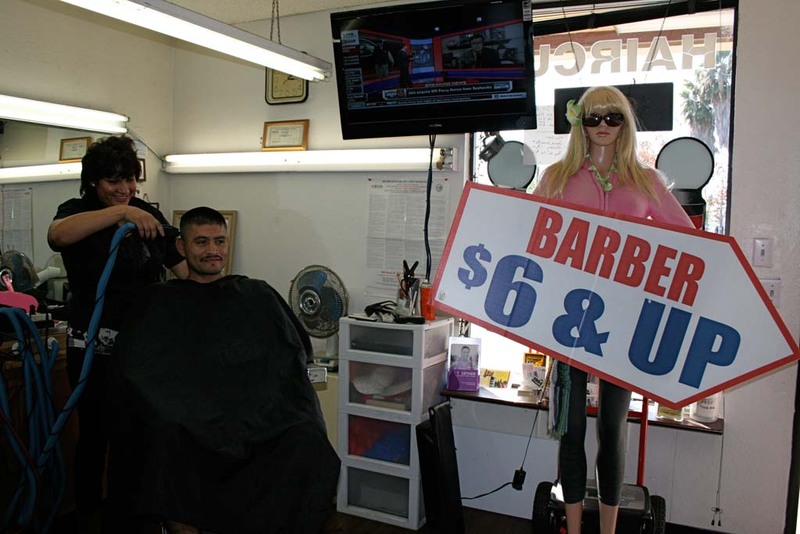 OCEANSIDE — A life-size Barbie outside Copperwood Barber Shop on Mission Avenue prompted City Council to consider relaxing its sign ordinances on Oct. 15. Councilman Jack Feller asked council to review regulations that caused code enforcement to order the barbershop to remove its mannequin. Feller said the mechanized mannequin that waves a sign at passing vehicles is creative advertising. “I hate to take uniqueness away in advertising,” Feller said. Feller pointed out other Oceanside businesses use a cow, mermaid or stack of tires to get customers’ attention, and added it’s unfair the mannequin was singled out. “Sign twirlers are essentially the same thing,” Feller said. During the meeting council members cautioned that without precise wording an ordinance change could open the door to offensive advertising. 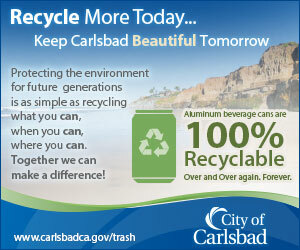 “It’s not one item, other people will want to do it,” Councilman Jerry Kern said. Following the meeting, Feller said wording could include perimeters regarding taste. Currently the city does not have regulations about using mannequins as advertising. The mannequin in question has a motorized component that puts it in the mechanical signs category, and therefore violates present sign ordinances. Barbershop owners Sherman and Allen Morris have switched off the mechanical aspects of the mannequin, and put it inside the shop. The shop owners said the head-turning mannequin doubled business when it was in front of the shop for 90 days. The shop’s mannequin is affectionately nicknamed Barbie, and stays tastefully dressed in a sweatshirt and jeans in seasonal colors. The mannequin cost $2,000, and is one of multiple attention-grabbing advertising strategies the shop uses, including feather banners and sign twirlers. Sheila Morris, barbershop manager, said they invested in the mannequin due to lapses in recruiting and maintaining sign twirlers. “The joke is she’s the best employee, and doesn’t take breaks,” Sheila Morris said. Sheila Morris said nearby business owners enjoyed the playful advertising, and extra business it brought to the shopping center. The neighboring flower shop borrowed the mannequin to boost Valentine Day sales. She added customers also have a fondness for Barbie, and have asked where she went after she was taken inside. The owners said they hope the city will modify regulations to allow them to use their investment. City Council directed staff to bring back suggestions on sign ordinance modifications that include perimeters on tasteful advertising.